Following a few years of development, Blossom Tales from Castle Pixel and publisher FDG Entertainment is due out on Steam this month. That’s where it’s staying for now, but a Switch version isn’t out of the cards. When asked about Switch, FDG showed willingness to port it to additional platforms if it does well on Steam. FDG is already pledging support for Switch with Monster Boy and Oceanhorn. 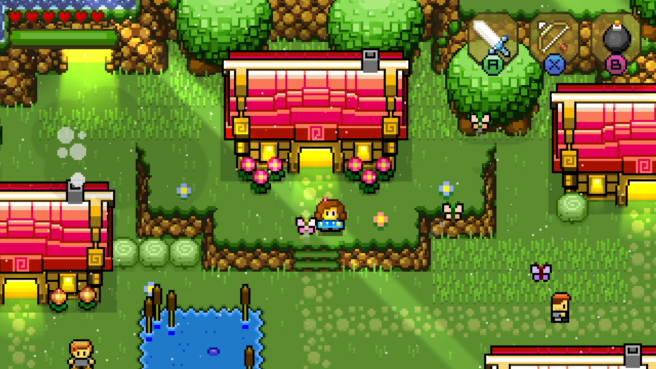 Seeing Blossom Tales on Switch might not be a crazy thought, especially given its Zelda inspirations.